CARE launched operations in Côte d’Ivoire in 2000, with a focus on assisting people fleeing from regional civil unrest, lacking food and potable water, and who faced serious health issues in regions where formal health systems had essentially crumbled. Program implementation is now directed at urban sanitation, rehabilitation, and social cohesion, through the lens of HIV/AIDs and malaria, strong governance, and restoration of basic infrastructure and civil institutions. CARE Côte d’Ivoire seeks to help vulnerable women and girls, aged 15 to 49, living in rural and peri-urban areas, to overcome poverty; and to contribute to sustainable economic development in gender equity as part of CARE International's global goal of achieving the economic empowerment of 30 million women by 2020. CARE Côte d’Ivoire works with beneficiaries, civil society organizations, associations and humanitarian networks, government, community associations and the Ivorian private sector, which is becoming increasingly socially engaged. 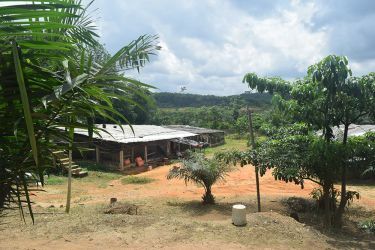 CARE began operations in Ghana in 1994 by working to educate mining areas about sexual health and the prevention of AIDS and other sexually transmitted diseases. Today, CARE Ghana focuses on a participatory approach, working in partnership with local and civil society organizations, the government and the private sector. This enables CARE to support the priorities of local populations, while bringing in resources and partnerships to spur innovation and durable solutions. Our goal is to impact the lives of the rural and vulnerable poor—women in particular—through implementing programs in the following areas: Food Security & Nutrition, Livelihood Strategies & Poverty Reduction, Women's Empowerment & Gender Equity, Water & Sanitation, Health and Education. 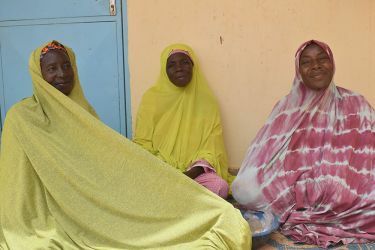 Women on the Move (WoM), the Impact Growth Strategy for West Africa, builds on the savings group model, which was first launched in 1991 in Niger, to multiply impact in women’s economic empowerment. The groups have since then become a major driver of women’s economic empowerment across the West Africa region. They serve as a platform for financial inclusion and improving health, nutrition, and agricultural productivity. Networks and federations of savings groups have also enabled women to use their voices, defend their rights, and participate in decision making processes at local, national and regional levels. Savings groups are made up of 15 to 30 members—predominantly poor, rural women —who come together every week to save money, access loans and contribute to a collective insurance fund. 8 million women and girls between the ages of 15 and 64 will be economically and socially empowered through savings groups by 2020, as a result of the Women On the Move coalition. Building financial autonomy gives women an equal footing in developing their businesses and their communities.Using the methodologies below, CARE continues to build upon its sustainable and proven VSLA model. Financial Literacy- A primary reason why banks and Micro-Finance Institutions (MFI) deem rural, remote populations ‘unbankable’ is due to their lack of understanding of basic financial concepts. Inherent to membership in a VSLA, members learn key principles of money management. Financial Linkages- As VSLA groups mature, many accumulate larger amounts in savings and emergency funds that need to be held securely and have the opportunity to earn greater interest. CARE seeks to link savings groups with formal financial services providers, encouraging innovations to their financial products which meet the needs of group savings. Village Agent Methodology- To support sustainability, VSLA embeds replication skills and capacity via Village Agents or, Promoteurs. A Promoteur is a member of an existing VSLA who has shown the skills and motivation to develop other groups, being compensated by commissions. Selection Planning and Management (SPM) and Enterprise Development- SPM is a proven training course for literate and non-literate persons to start or improve their income generating activities. The training follows three key activities, 1) the selection of an IGA that is suitable for their individual circumstances, 2) planning for the successful launch of IGA and, 3) managing IGA effectively so that loans are repaid on time, income earned from the IGA matches expectations, and risk is kept within manageable limits. Monitoring Information System (MIS)- A structured data gathering and presentation system developed specifically for VSLAs which allows CARE to know how much groups are saving, size and repayment rates of loans as well as overall growth. This data is key to gaining credibility and stability for stronger financial linkages. Gender Equity and Diversity (GED) are at the heart of our efforts to reduce poverty and promote social justice. The success of these efforts is closely linked to our institutional context, the personal commitment of CARE and the creation of a working environment conducive to this commitment. Research and development practice have demonstrated that increasing economic and social opportunities for women generates greater welfare, health, education and food security for their households. These improvements contribute to more resilient communities and sustainable economic supply chains. CARE creates opportunity for women through improved access to capital and financial services. CARE also addresses gender in project activities by using collaborative approaches with men and boys to ensure that the entire community understands that empowered women can be strong drivers for development. CARE believes that positively influencing social position, status and the enabling environment of women acts as an impulse for development. By integrating a gender perspective to all programming CARE not only targets and supports women but engages men and boys in gender equality discussions and helps communities understand the value of achieving gender equity in all social, political and economic sectors. Throughout West Africa, CARE is working to facilitate learning and to scale-up successful practices. CARE seeks to help build strong cross-border civil society networks, guiding collaboration and dialogue with local governments, and to influence the private sector towards gender-just, sustainable, economic development. Additionally, CARE works to build emergency preparedness for conflict sensitivity and transformation. Over the past 50 years, CARE has built a reputation as an "honest broker" within West Africa gaining valuable credibility with local and sub-regional governments. This, together with a solid presence at the global level, gives CARE the ability to influence and advocate for change on all fronts. Reducing conflict risk in fragile states centers around good governance and economic development. Through policy analysis and advocacy, CARE and its partners will strive to influence governments, civil society and the private sector to achieve local and global goals related to our gender-just economic development priority.